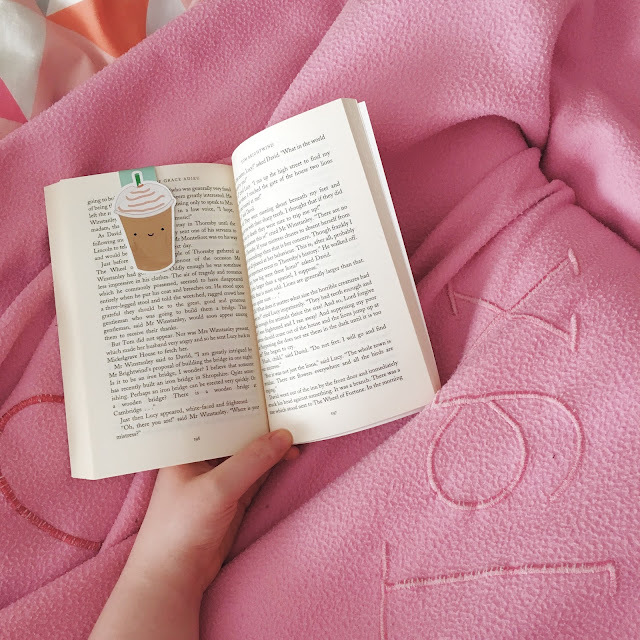 In this culture of GoodReads challenges and booktube wrap ups a lot of importance is put on reading new books, finding new authors, and expanding our reading horizons. These are, of course, all great things, but sometimes it can be a little daunting, a little tiring, to always be racing on to the next thing. Sometimes you just aren't in the mood for the next thing. Something may be happening in your own life, or the news may be too upsetting, or the world might just get too much, and you don't want to escape into a new world but an old one. One that is familiar and comforting. Sometimes you need the novel equivalent of your favourite meal eaten by a warm fire on a cold night. We all have those books, right? The ones we've read a hundred times already but every time is like being welcomed home again. We already know every beat of the story, every twist and every turn, and that's part of what makes it so comforting. You know you aren't in for any surprises and you can just enjoy visiting those characters again in a way that feels safe and revitalising. That's the true joy of comfort reading. For a lot of people the Harry Potter books fill that role, for others it will be classics like Jane Eyre or Pride and Prejudice, or a favourite Agatha Christie mystery, or a contemporary love story you just can't get enough of. You may not even realise you have one. You may have one or two books you read over and over again because they give you this sort of feeling, even though you've never really tried to put that feeling into words. But if you're book lover, which I'm sure you are if you're reading this, then you will almost certainly have at least one book whose cover is looking a little worse for wear for all the times you've reached for it to comfort you. You might even have three or four. For me, the Harry Potter books are always a contender, but a few weeks ago, when I needed something comforting, I found myself reaching for a different series. I love the Wizarding World with all my heart but the fact is every single one of those books makes me cry, and at that moment I really didn't want to cry. I wanted to curl up and laugh and feel at home and when I really thought about what book might give me that I didn't have to think that much at all. For me, then, it was The Princess Diaries. Right now, what would it be for you?